Generac fuse upfit kit. Pre 2010 transfer switches only had two 5A fuses. 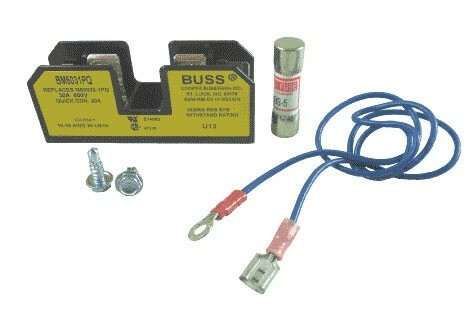 If you are installing a newer generator 2010+ with and older two fuse switch, you can use this kit to convert the switch to a three fuse. On newer units the battery charger is fused separately from N1 and N2, The new third 5A fuse would be T1 which is dedicated to the battery charger.